LEVERAGING cross team collaboration is a no-brainer, it leads to deeper insights, fresher perspectives and delivers results. Staff from our LDC and Sustainable Agriculture teams teamed up with Darryl Hill to deliver erosion control training at multiple sites across the BBB. 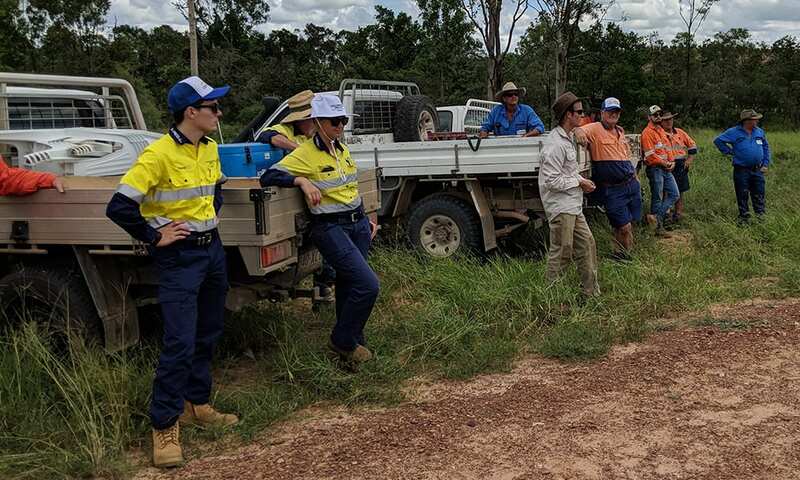 Through its LDC project, NQ Dry Tropics is working hard to promote and facilitate cross-sector collaboration in the Bowen Broken Bogie (BBB) catchment to support a culture of stewardship that enables all land managers (grazing and non-grazing) to be effective custodians of the land. 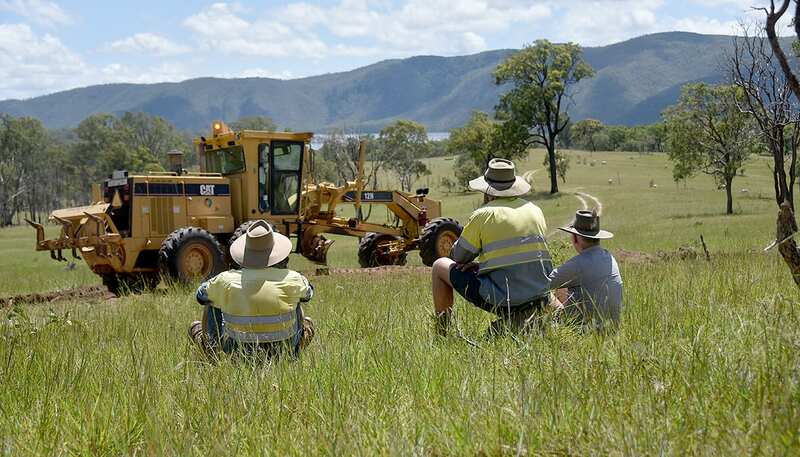 Graziers, along with non-grazing land managers including councils, utility businesses such as Ergon Energy, Powerlink, Aurizon, mines, specifically Glencore, National Parks and Wildlife and machinery operators, are focusing on one particular challenge – erosion and sediment control on rural roads. The LDC believes that each sector has a valuable role to play to build a partnership model that will create shared value, and be long lasting, scalable and transformative. 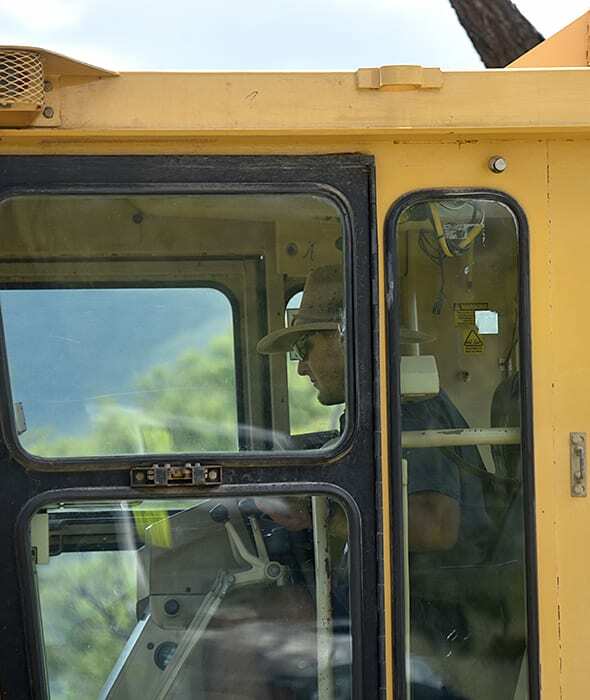 There is a real opportunity to develop new approaches to partnering that will unleash innovative ways of working, mobilising expertise and resources, and creating shared accountability to adopt best practice when constructing and maintaining the BBB’s rural road network. 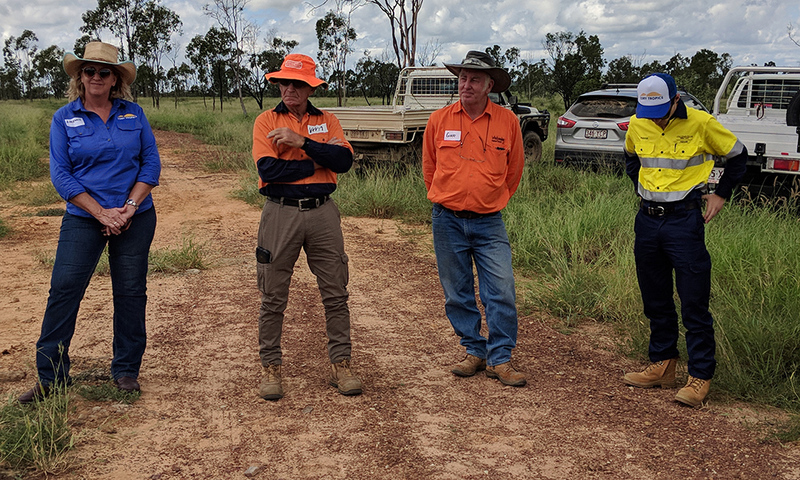 It was excellent to see graziers and non-grazing land managers commit to this process by attending Darryl Hill workshops, and utility provider forums held in March, to discuss how best to move forward to achieve cross-sector collaboration. Click here for more information on the forum. 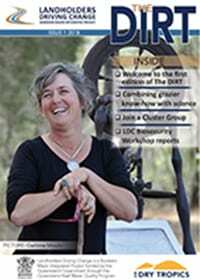 Darryl Hill is one of only a few qualified instructors who runs workshops for soil conservation in Australia. 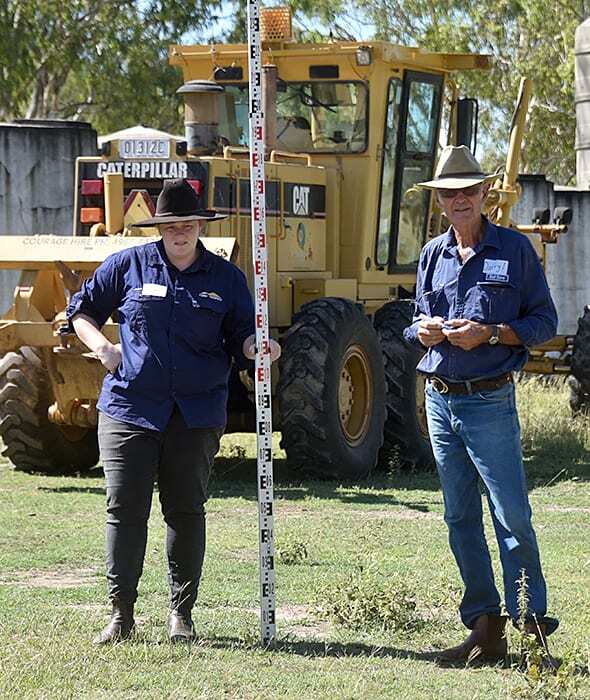 A total of 31 participants including graziers, representatives from local councils, mines, utility businesses and machinery operators attend Darryl Hill workshops at Eungella Station and Collinsville. 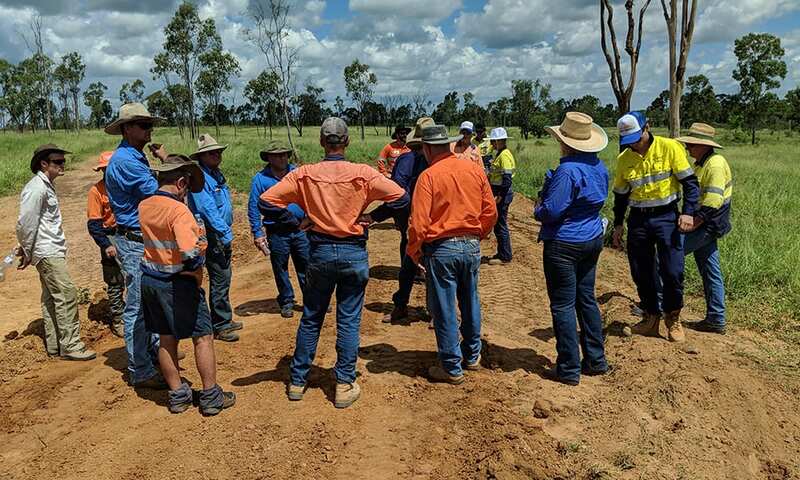 Land managers gained correct knowledge, skills and management tools to understand the causes of soil erosion, how to avoid triggering additional erosion and how to ameliorate existing erosion. 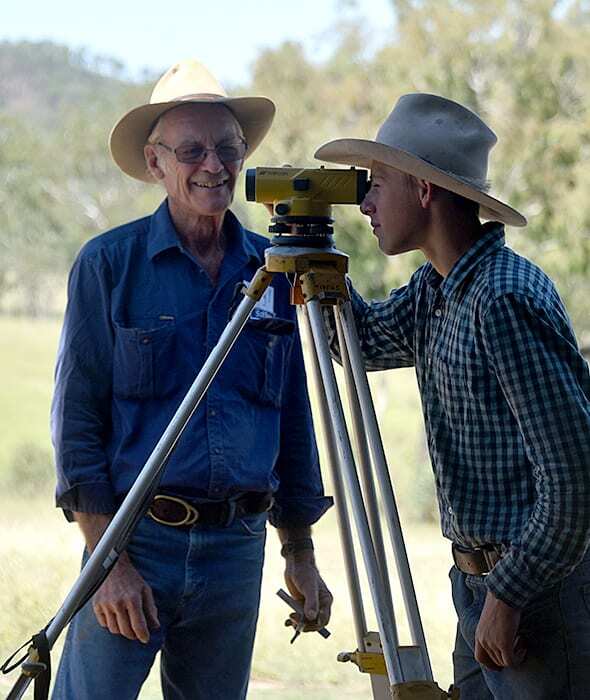 Please note: Darryl Hill is also working with the BBB Grazier Support team to roll out the whoa boy project across the BBB catchment. For further information, click here. 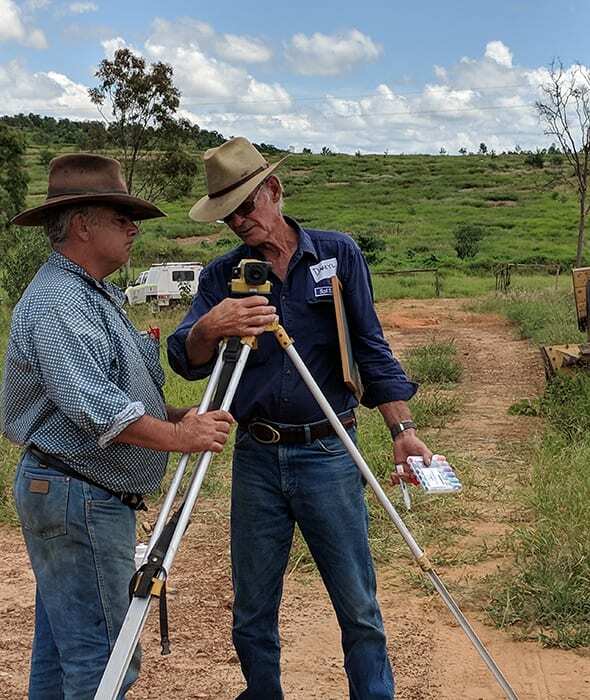 WHILE Darryl Hill has the gruelling task of presenting workshops day after day, he relies on his hosts – NQ Dry Tropics during the swing through the Burdekin Dry Tropics – to get him to where he should be, and to provide food and water fairly regularly. It takes a bit of coordination and planning, sometimes involving early starts and long stints behind the wheel but, most times, it comes together with a precision the military can only dream about. Grazing Field Officer Eilis Walker had to have Darryl on the road from the motel in Bowen at 4.40am in order to rendesvous with Grazing Field Officer Josh Nicholls who would be taking over at the Woodstock-Giru Road intersection with the highway at 6am. While Eilis struggled to find some caffeine to start the day, she found Darryl already at the car, pipe already billowing and enjoying the morning air. She and Darryl passed the time on the road the way Darryl nearly always does – by pointing out the good and the bad V-drains, flat drains and eroded drains associated with each part of the highway. And,as she pulled into the layby nominated for the handover, she could see Josh turning across the highway to arrive about 20 seconds later. Even Darryl – a hard marker in the punctuality department – was impressed.